Anthony Byrne Fine Wines was established in 1976 by Anthony and Rae Byrne to supply the United Kingdom market with high quality wine. We import distinctive, enjoyable wines from France, Spain, Italy and exciting New World growers, from South Africa, Australia, Argentina, Chile and New Zealand. As UK wine merchants we supply restaurants, hotels, local and national retailers, pubs and bars. We deliver regularly throughout the home counties, London and the south of England. We are proud to sponsor the Sir Peter O'Sullevan Award Lunch, now in its 23rd year, at the Dorchester. Over 500 guests joined O'Brien receiving his award for a lifetime's contribution to the sport, and an illustrious rollcall of jockeys, owners, journalists donated funds to The Sir Peter O’Sullevan Charitable Trust during an auction after lunch. 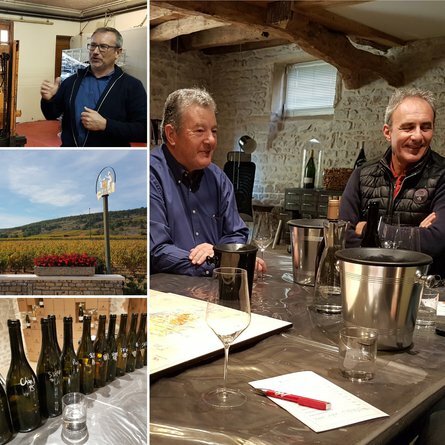 The ABFW team recently returned from a very productive trip to Burgundy, meeting a number of our growers (including Domaine des Perelles, Domaine Jean-Marie Bouzereau and Domaine Thibert Père & Fils) following the harvest and tasting their latest releases, which promise complexity and finesse. Notwithstanding the warm summer, acidity levels were robust. 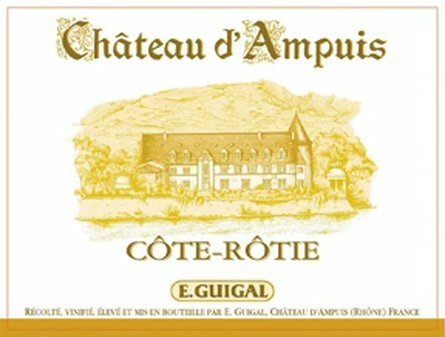 E. Guigal 2011 Château d'Ampuis (Côte Rôtie) - hints of pepper, bacon, clove and leather. Reasonably full-bodied for Côte Rôtie, with smoked-meat flavours, ample spice and plenty of concentrated plum. Will age well for at least 10–15 years. Domaine Saint-Rémy Ehrhart Hengst Grand Cru Gewurztraminer - a lemon and peach scented nose with a generously sweet ripe peach palate. The flavour and richness is countered by the lemony freshness and a touch of honeysuckle . The medium-sweet finish is long and balanced. Drink now. 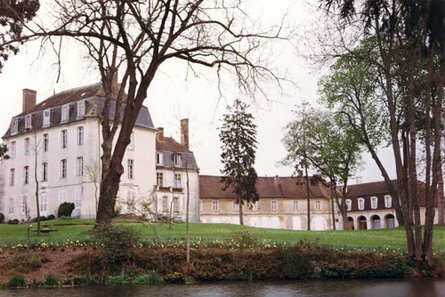 These domaines also received mentions in James Suckling's top 100 French and Alsatian wines respectively - for the La Mouline and La Landonne Côte Rôties, Pinot Noir and Riesling Grand Cru Hengst. 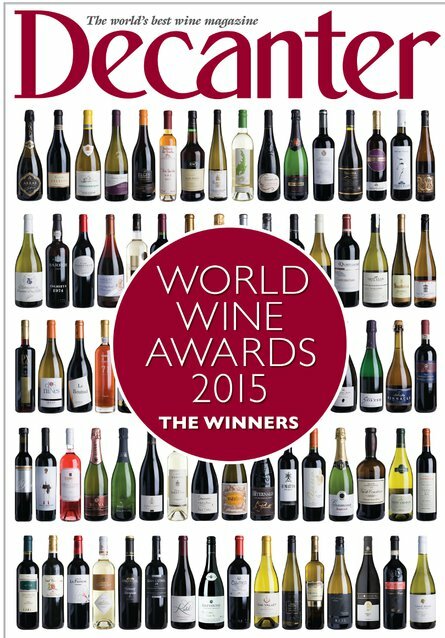 To purchase any of these wines please contact your usual salesman or salesteam@abfw.co.uk. Forget rosé, this summer we are enjoying some excellent bottles from the Rhine River plain. 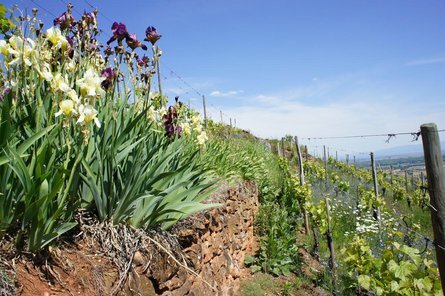 The incredibly versatile, aromatic and crisp wines produced in Alsace are happy partnering all manner of dishes. Examples include barbecued feta, smoked salmon and even duck. Of course, the off-dry wines can be a great accompaniment to a summer fruit salad too. ABFW's Alsace portfolio also has excellent ageing potential. We are particularly enjoying those wines which are at least five years old, where the minerality for which the region is most loved is really developing. We have put together two great selections of mixed case vintage Alsace for you. For those looking to expand their reserves of sweet wine, we also have a case of selected Vendanges Tardives and Sélection de Grains Nobles from some truly excellent vintages. Each case below is offered at at least a 10% discount to our trade prices. The Été en Alsace case (£195) is a selection of three bottles of each of Gewürztraminer, Muscat, Pinot Gris and Pinot Noir from vintages 2007-2012. Anthony's Grand Cru Selection (£265) comprises four bottles of each of Riesling, Gewürztraminer and Pinot Gris, from 2009 - 2012. These wines have been specially selected for their great ageing potential. We are very fortunate to have some excellently rich and soft delayed harvest VT and SGNs, produced only in great years from the best quality parcels of land. These wines have reliable ageing potential of up to 20 years from harvest. Our final Alsation mixed case selection (£450) is a carefully chosen collection of outstanding examples from the 2005 - 2009 vintages. Please place your orders by email at summerofalsace@abfw.co.uk. Prices quoted include VAT. All goods sold in accordance with ABFW terms and conditions of sale. When a long-standing customer asks for assistance with a Charity project, it is great to assist, which took our team to Corpus Christi College, Cambridge on Saturday 25th March for dinner. 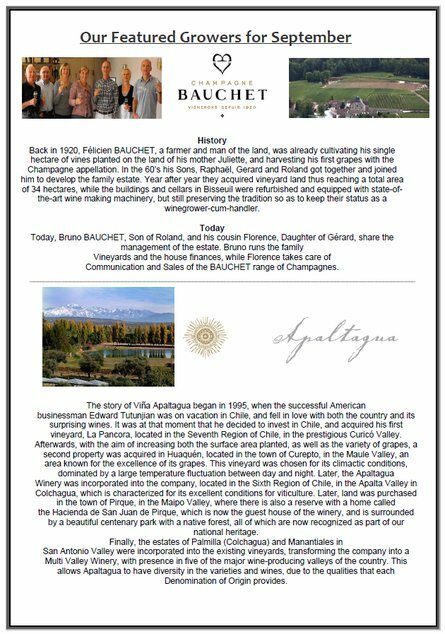 We were exceedingly fortunate to have Pablo Barros, chief winemaker of Chilean winery Apaltagua visiting ABFW at the time, so we were happy to arrange a tutored tasting by him for the 120 guests present, and to donate the wine for the event. 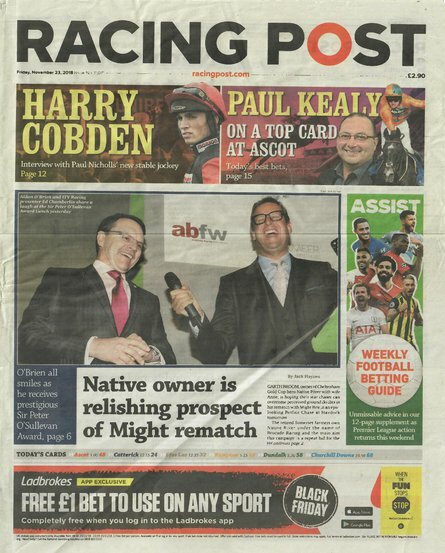 Pablo is pictured right with ABFW Director Rae Byrne. Each course of the elaborate menu was cooked by a different head chief and team, drawn from local and regional restaurants and catering colleges. We paired the menu with a full range of Apaltagua wines, which were very much enjoyed. In total, the evening raised £10,500 for the NSPCC. 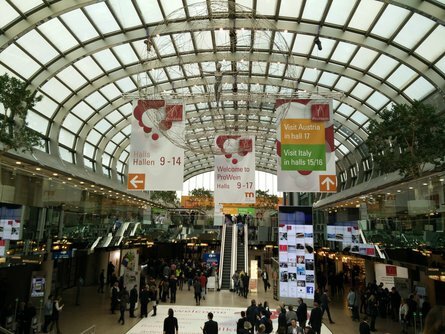 ABFW just returned from ProWein 2017, hosted in Dusseldorf. We make this trip annually to meet as many of our distant suppliers as we can all in one place, as it has proven both efficient and a great way to maintain relationships in the industry. As ever, a trade fair does not replace the importance of visiting growers in their place of work, as so much can be judged from the condition of the vineyards and cellars at different times in the year. For our own customers we continue our program of grower visits, where we host growers in the United Kingdom and they then present their wines in person to ABFW customers at our regular Trade Tastings (Oxford, Cambridge, London). If your business shares our passion for sourcing the best wines, please contact sales@abfw.co.uk and lets see if we can bring something special to your wine list for your customers. 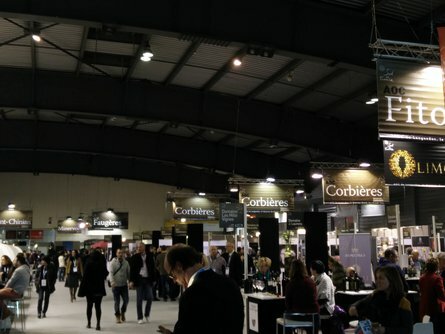 ABFW attended the 13th edition of Vinisud at Montpellier's Parc Expo and was pleased to see some excellent quality wines showing good value. The event, as always, allows us to meet our existing growers from the Mediterranean regions as well as establish new contacts. We tasted some excellent wines from longstanding ABFW grower Domaine des Hauts Châssis and were particularly pleased to sample new wines from Franck's colleagues in Ambiance Rhône Terroirs, a union of eight families making quality wines throughout the Rhône Valley. We will be bringing these to the UK soon! The ABFW team visited some key Loire Valley growers (including Domaine Naudet and Pierre Marchand) in December to taste the 2016 vintage. Production volumes have decreased marginally compared with 2015, but the quality remains excellent. The team tasted samples from all the growers' tanks, with the harvest segregated by soil type. Final blending will take place in March and April, to be released between April and August. 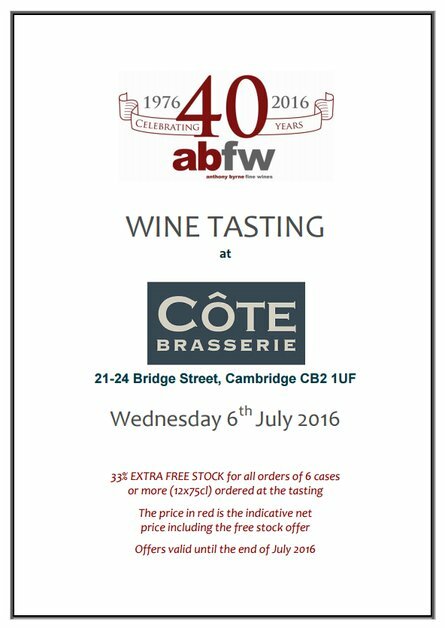 We are delighted to showcase the work of two French growers, visiting in person this month for our early summer trade tastings held in Cambridge (Côte Brasserie, Wednesday 6th July), Oxford (The Anchor, Tuesday 5th July) and London (L'Autre Pied, Friday 8th July). We will be exploring the wines of Loire winemaker Auguste Bonhomme and, joined by Corinne Ehrhart and her daughter Margot, those of the husband and wife team at Domaine Saint Remy, Alsace. 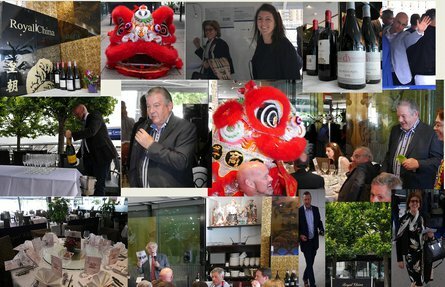 The company would like to thank customers old and new that helped celebrate our fortieth year of trading, especially those able to join the celebratory lunches held at Restaurant Alimentum (Cambridge), Brasserie Blanc (Oxford) and the Royal China Restaurant (London, Canary Wharf). In London, customers joined us for a high speed boat trip down the Thames followed by lunch at one of our longstanding customers, Royal China Canary Wharf. Spirits were high and guests enjoyed Anthony Byrne recounting the changes in the UK wine consumers' market from the 1970s to the present day (remember Mateus Rosé? ), accompanied by his favourite wines discovered after four decades of research! Speaking, sales manager Gary McDonald thanked the sales team for their hard work and reiterated the strengths of remaining an independent family business, as seen through the decades he has been with the firm. We look forward to continuing the supply of distinctive and enjoyable wines to our customers for the next 40 years. We're delighted to announce that two new Prosecco wines are now in stock, both from our new grower Ca’ di Rajo. We first tried these back in late January 2016, when we met brothers Marino & Simone Cecchetto, a trip during which we were specially looking to explore the mid-to-high range of the market. This is reflected in the price, coming in slightly more expensive than our house Prosecco. We will be featuring both proseccos at our spring & early summer trade tastings; please contact your sales manager if you are reviewing your lists and want to try them sooner. This update comes to you from the cool, crisp hills of Traviso in January, as the buying team visit several as-yet-unnamed growers looking to bolster our range of Prosecco wines in anticipation of the coming summer. We then visited Stephano, Tiziano and Allessandre Accordini of Corte Alta, and found the cellar busy with bottling in progress. We were fortunate to taste the 2015 Valpolichelo Classico, having just been released from maturation in tanks. We tasted the Ripasso, Amarone and of course the fabulous Recioto sweet wine, of 100% air-dried grapes. Tiziano talked of the need to balance volumes of Aberone with Ripasso as he needs one old barrel of Aberone from a previous year to make two barrels of Ripasso the next. Finally we called to visit the Portinari Family, meeting Maria and Silvo to taste the 2014 vintage Soave Classico Ronchetto (DOC) and Soave Albare (DOC) of the same year. We then tried the Soave Albare and Santo Stefano of previous years, tasted generously with home-made Salami Portinari! For supply of these wines or any other from our portfolio, please contact our sales team at sales@abfw.co.uk. Paolo Ciacci and his father have celebrated the end of year's harvest by winning both gold and bronze medals at this year's Decanter World Wine Awards. If you would like to discuss the supply of Abbadia Ardenga wines for your restaurant or business please contact our sales team. The vineyards are those on the Sienese slope of the hill of Montalcino, with South-west exposure. This wine is produced with the grapes from the vineyard “Piaggia”. The excellent exposure and exceptional pedoclimate lend this wine great personality and balance, a complex and elegant expression of the Sangiovese grape variety. 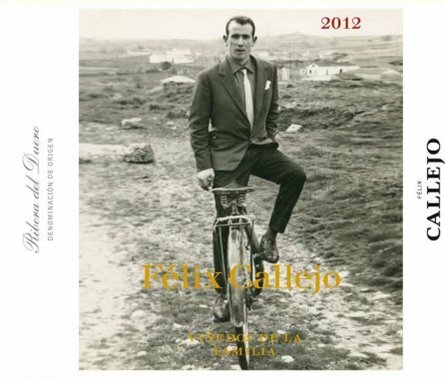 The Eguren family have been producing balanced and expressive wines from Rioja Alavesa vines since 1870. 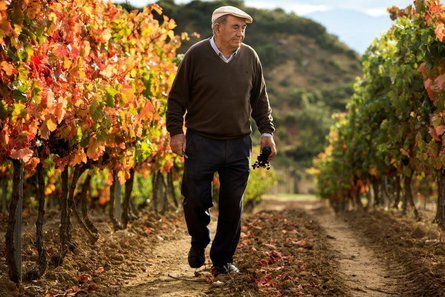 Vitorino Eguren Ugarte is the fifth generation Eguren to cultivate the 130 hectare site (containing some vines which are over 100 years old). Now aged 82, he is joined in the vineyards by his three sons. from the top of the Ugarte range, the Dominio Ugarte Riserva 2010: 95% Tempranillo, this has a more pronounced oaky aroma with expressions of dark berries, herbs and spices. A balanced wine with ripe and strong tannins, it pairs excellently with all jamón and many other dishes besides. We hope customers will enjoy to meeting Vitorino Eguren at these tastings, if you would like to learn more about Vitorino's wines please contact us. 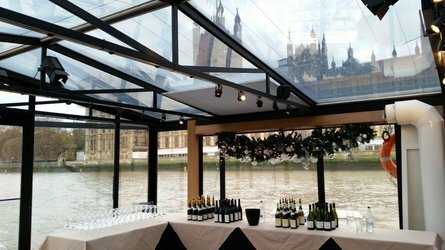 Time to share photos from a client's fine wine tasting we organised on the River Thames, for corporate clients in London. ABFW worked with the boat operator to make sure everything was ship-shape, and our salemen were on hand to talk through the fine selection of wines. Some careful pouring required by the team! Featured wines: Ballast Stone Stonemason Shiraz (Australia), E. Guigal (French, red Rhône), Apaltagua (Chile), Chateau Maligny (French, white Burgundy). In April the buying team visited many of our producers in central France. Beginning with an early start in Bisseuil, Champagne, we met Florence Bauchet, then drove to Chablis to meet Jean Paul Durup of Chateau Maligny (pictured), then on to Meursault to meet Jean-Marie Bouzereau. The next day we started in Burgundy, meeting Sandrine and Christophe of Domaine Thibert, representatives from Domaine Bouroniere and completed the trip by visiting Domaine de l'Arlot in Nuits St. George. Looking for more information? Explore our portfolio of wine, read the services we offer trade customers, and the company history. Here are our contact details and the team will be delighted to assist you.